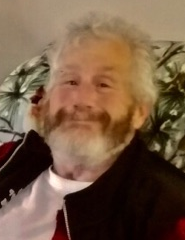 Thomas F. Braun, 67, of Decatur, IN, passed away on Saturday, February 2, 2019 at Signature Healthcare of Bluffton. He was born on June 26, 1951, in Decatur, IN, the son of the late Jerome J. and Esther C. (Geimer) Braun. On April 17, 1971, he married Aline L. Kopacz and after 46 years she preceded him in death on October 8, 2017. He was a parishioner of St. Mary of the Assumption Catholic Church and a member of the Holy Name Society. He was a self-employed commodity trader and was also a farmer. Tom is survived by 2 sons, Jeremy (Melissa) Braun of Monroe and Jason (Julie) Braun of Decatur; a daughter, Danielle Miller of Decatur; 2 brothers, Don (Linda) Braun of Decatur, and Jerome Braun of San Francisco, CA; 4 sisters, Carolyn Wilder, Betty Meyer, Patricia (Mike) Kable, and Joyce (Gary) Teeple all of Decatur; 8 grandchildren. He was preceded in death by a son, Matthew R. Braun and a half-brother, Ed Schultz. Visitation will be from 4:00 – 8:00 p.m. on Tuesday, February 5, 2019 at Haggard-Sefton- Hirschy & Zelt Funeral Home. A Mass of Christian Burial will be held at 10:00 a.m. on Wednesday, February 6, 2019 at St. Mary of the Assumption Catholic Church, with calling 1 hour prior from 9:00 – 10:00 a.m. in the St. Mary’s Parish Hall. Officiating will be Father David Ruppert. Burial will take place in St. Joseph Catholic Cemetery at a later date. Memorials are to the Family.